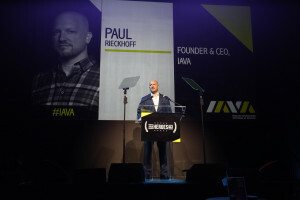 New York, NY – January 28, 2019 – After founding IAVA in his tiny studio apartment in New York City 14 years ago, IAVA Founder and CEO Paul Rieckhoff is stepping down next month as the leader of the renowned veterans advocacy group. Rieckhoff will transition to focus on new creative endeavors, including his second book, launching his first podcast and leading other to-be-announced media projects. Rieckhoff will continue to serve on the IAVA Board of Directors. After a deliberate search, the IAVA Board of Directors voted unanimously to select Butler to lead the renowned non-profit veterans empowerment organization into the future. He is uniquely qualified to lead IAVA through its next chapter and fight on behalf of all veterans. 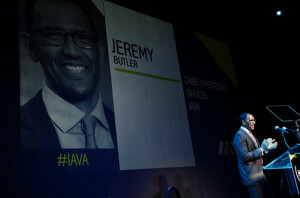 Jeremy Butler joined IAVA in 2015 with over 15 years of experience providing substantive and strategic counsel to leaders in high-profile government and private sector offices, including the Departments of Defense and Homeland Security. Originally from Glenarm, Illinois, Butler is a graduate of Knox College and the U.S. Naval War College where he received a Master of Arts in National Security and Strategic Studies. He continues to serve our country as a Surface Warfare Officer in the Navy Reserve and previously served as IAVA’s Chief Operations Officer, Acting Chief Development Officer and Senior Military Fellow. For the last year, Butler has led all IAVA internal operations nationwide. Prior to that, his extensive experience at IAVA spanned all aspects of the organization’s work, including leadership roles in communications, finance and development. Butler is a well-known and respected voice in the veteran and military community and has regularly served as an IAVA spokesperson at events and in the media. He has contributed to Fox News, C-SPAN, Sirius XM, NY1 and numerous veteran and military media outlets. Butler’s leadership is complimented by an incredibly talented, deep and effective senior leadership team, staff and Board of Directors that have guided IAVA to great heights over the past few years. Jeremy Butler is available for interviews, will share his vision for IAVA’s future in a Facebook live event on February 1, and will lead IAVA’s “Camouflage Wave Welcome Reception” in Washington this Wednesday, January 30. Butler will also present IAVA’s 2019 Policy Agenda before a joint session of Congress in March, the lead element of IAVA’s quarterly ” Storm The Hill” advocacy activation. Rieckhoff, Feldmayer and others are available as well.